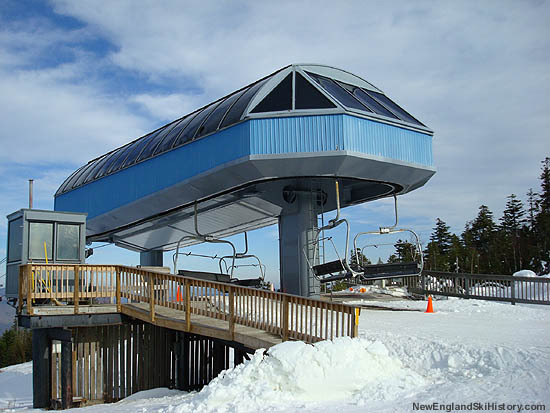 In trying to keep up with rapidly modernizing ski areas, Sunday River looked to step into the chairlift rhelm in 1971. 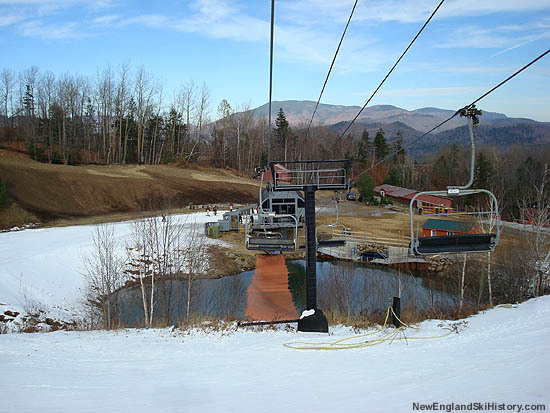 While retaining the T-Bars on Locke Mountain, Sunday River installed a new Pullman-Berry double chairlift on adjacent Barker Mountain, climbing 1,400 feet over a run of 4,800 feet. General Manager Josef Gmuneder was reported as leading the lift installation effort. 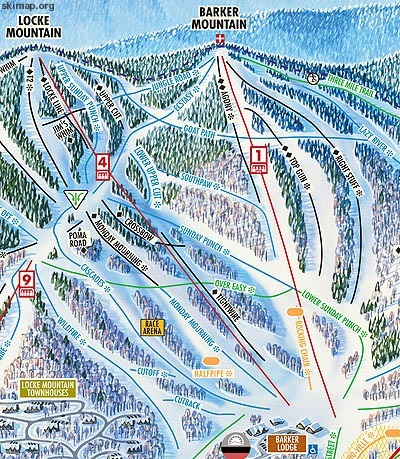 Along with the chairlift and connecting trails, the Three Mile Trail was opened. The allegedly tempermental lift was eventually replaced with a new Yan high speed quad in 1987. As was the case with many other Yan detachables, Poma would later modify the lift.